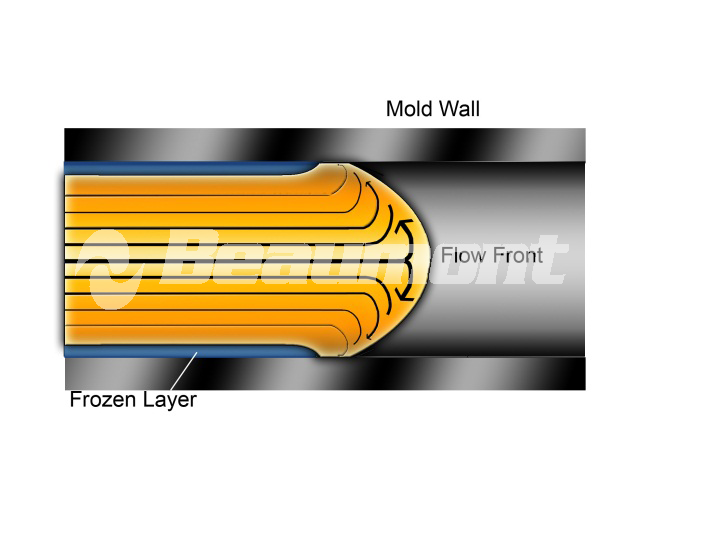 Frozen Layer - Beaumont Technologies, Inc.
During mold filling, as molten plastic comes in contact with the perimeter of any cooled channel (sprue, runner, gate and part forming cavity) a frozen layer will develop. An initial frozen skin will develop nearly instantly and its thickness will dynamically change throughout the mold filling and packing portions of the molding cycle. During mold filling, the thickness is significantly influenced by shear rate and will influence the filling pressure.